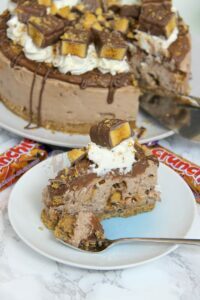 A Creamy, Chocolatey, Sweet, and delicious No-Bake Chocolate Cheesecake using Cadbury’s Crunchies, Crunchie Spread, and even more Delicious – My favourite, Crunchie Cheesecake! The base is crunchy from Digestive Biscuits. 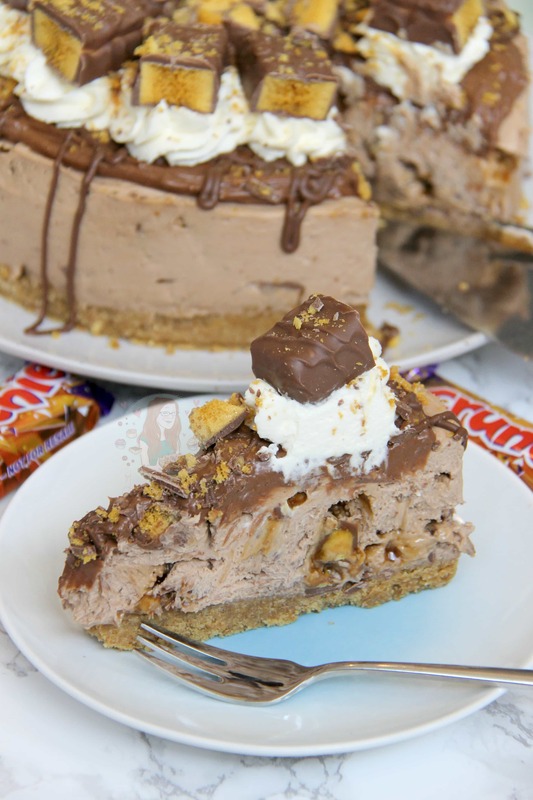 The topping is creamy, sweet, and the ever so slight hint of the chocolate is a marriage made in heaven with the chunks of Crunchie that are dotted about inside. 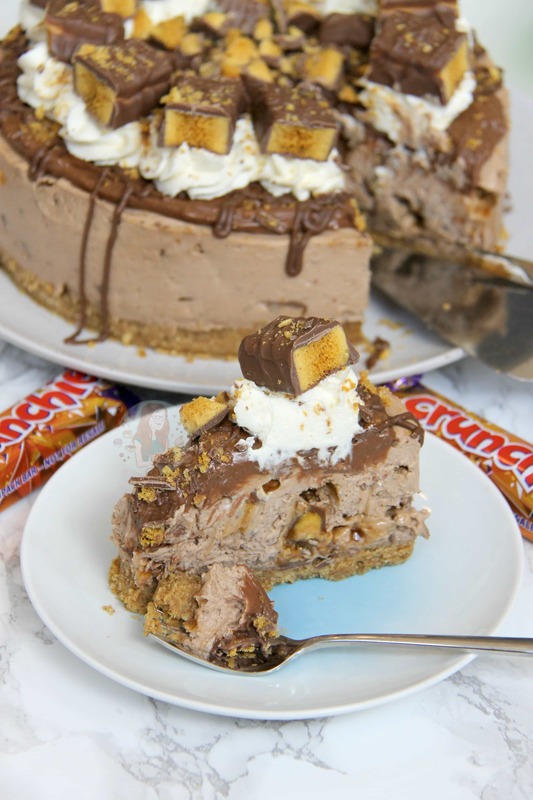 I have decorated my Cheesecake in classic Jane’s Patisserie style, with delicious freshly whipped cream, an insane amount of Chocolate Drizzle, and of course… more crunchie! (I did worry that the lady at the checkout was judging me when I bought 3 multipacks of Crunchies, but who cares – its so yummy! Next time I will use self-service!) But of course the decorating like this is optional – I just love it like this! 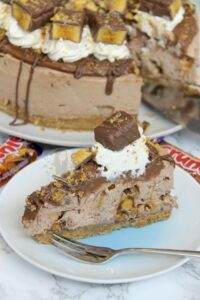 I obviously have my most popular recipe on the blog being my No-Bake Caramel Rolo Cheesecake, but this one was inspired by my No-Bake Chocolate Malteser Cheesecake and No-Bake Toblerone Cheesecake. 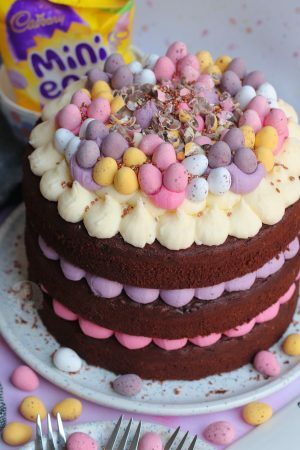 They’re both chocolatey, and have a chocolate bar theme – but I wanted to make this different enough to justify another recipe – and I think I managed it But seriously, I really hope you guys like this one as much as the others – my family definitely did, and so did I! 1) To make the Cheesecake Base – melt the butter in the microwave on short bursts on in a small pan over a medium heat – Blitz the biscuits in a food processor to a small crumb, add the melted butter, and pulse a few times until it is combined well. Tip into a 8″/20cm Deep Springform Tin and press down firmly – chill in the refrigerator whilst you do the rest! 2) To make the Cheesecake Filling – Melt the chocolate in a bowl over a pan of gently simmering water, stirring gently or microwave in short bursts until fully melted – leave to cool slightly whilst doing the rest. 4) Whilst mixing, pour in the melted chocolate and Whip again until thick – It will hold it self completely when finished whipping – It won’t take too long as the chocolate will harden quickly and cause it to thicken. 5) Chop up the Crunchies and fold through the mixture – Pour the mix on to the biscuit base, smooth over, cover, and chill in the fridge for at least 5-6 hours hours or preferably overnight. 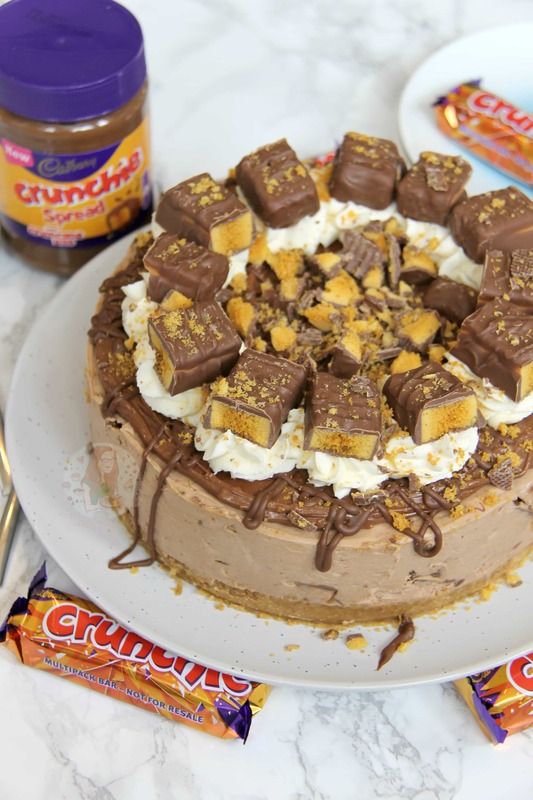 6) To decorate the Cheesecake – Remove the cheesecake from the tin, and decorate by spreading the crunchie spread ontop of the cheesecake, with some whipped cream (whip double cream and icing sugar together), even more crushed Crunchies, and some melted chocolate! Recipe updated June 2017 – The original cheesecake filling used 400g of Mascarpone, 100g of Icing Sugar, 300ml Double Cream, 250g Milk Chocolate, and Crunchies. Follow the same method idea if you want to use the original amounts! 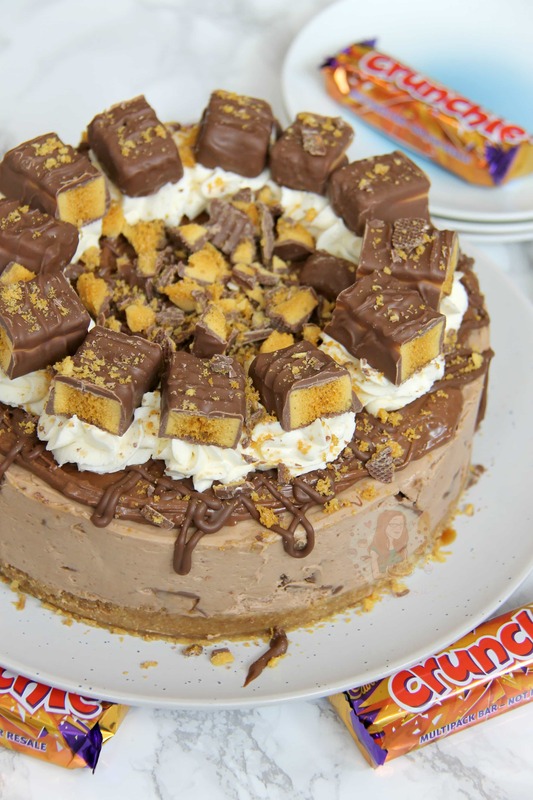 You can also use what biscuits you like in the base, but I love digestives the most – You could do 200g of Digestives and 150g of Crunchies however with 130g of Butter if you wanted a more Crunchie like experience. I always set my cheesecakes in the fridge overnight otherwise they risk being a little runny still and slipping off the biscuit base but if you want to risk it then go for it! This Cheesecake will last covered in the fridge for 3 days! Older Next post: Bacon, Brie & Tomato Quiche! Newer Previous post: Easy Vanilla Cupcakes! 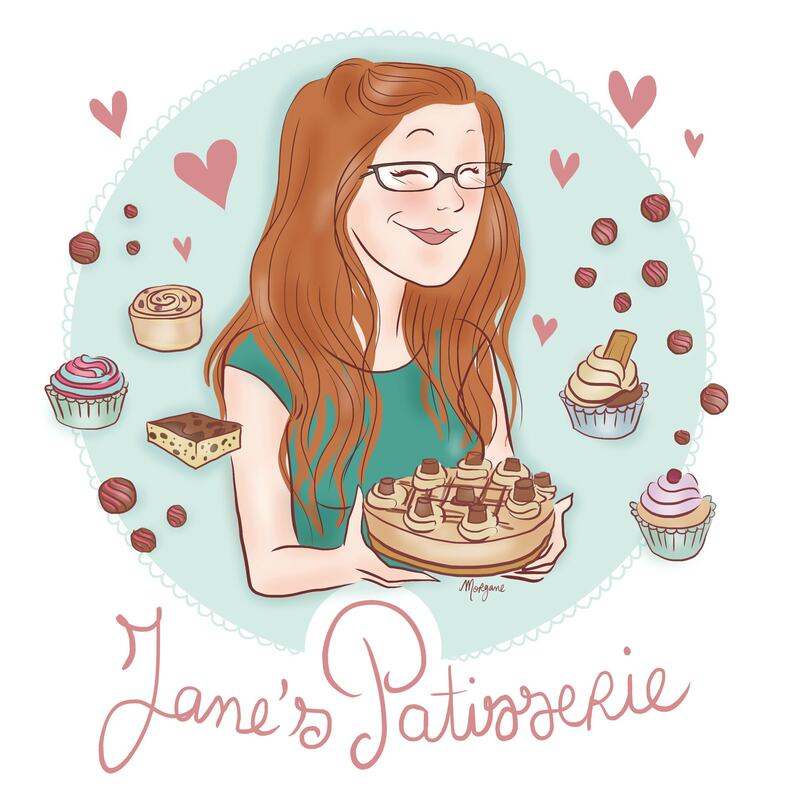 Hi Jane, I want to say a massive thank you for all your wonderful cheesecake recipes. We own a small family run cake shop in Norfolk and my customers absolutely love them. You can just leave it out, but obviously there will be less filling. You can add in more cream cheese however. Do you have any tips for using this recipe for mini cheescakes? Simply split between mini tins/ramekins and fill ☺️ I do it all the time! Love all your recipes..one thing i struggle with cheesecakes is removing the base of the tin. Could you show how to do this in your next YT video please. I can do – but I literally just run a thin knife or metal spatula around underneath and it basically lifts off! ? would take up so much room. 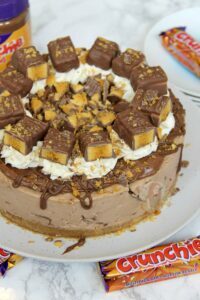 I made this cheesecake after it was featured in Baking Heaven magazine. My boyfriend said it was the best cheesecake he had ever had (which is a BIG compliment) and one work colleague said she would eat it everyday. It is so easy to make I made it again for a work bake sale and it had all gone by dinner time! I now have all the ingredients to make it again before the diet starts. Ah yay! I’m so glad you liked it and found your way back to my blog!! And yes, enjoy it again.. make sure you treat yourself occasionally in your diet though! Everyone needs rewards! That must mean that you’ve over mixed it… the mixture shouldn’t curdle unless way way over mixed. 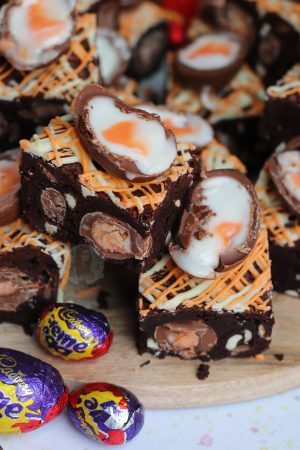 Sometimes the chocolate can seize and go lumpy, but that’s still edible and useable, if it’s like scrambled egg then it’s curdled. The recipe was so easy to follow and trying not to lick the bowl was so hard. Will message again’t regarding taste. Oh yay! I am so glad! And I don’t blame you if you do lick the bowl, I always do! Oh my word, is it Friday yet?! 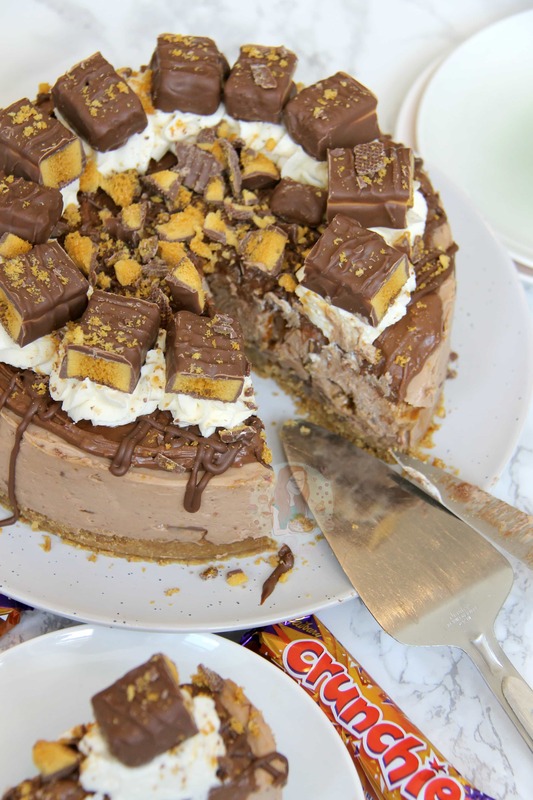 Who cares, I’m so here for that Friday feeling whatever day of the week ; ) This looks insane and ridiculously indulgent but life’s too short not to allow yourself delicious things like this! I could lick the screen if that was at all acceptable. Fancy sending me a slice or three? The role cheese cake was such a success in my house too – was so looking forward to this one! not sure where you are going wrong I have made this a couple of times with no problem. I always melt my chocolate in the microwave till just soft then take it out and stir till completly melted ,that way it stay cool . I only use mascarpone chese and double cream whipped straight from the fridge. Dont know if thats any help . Doesn’t make a difference for me ? Hahaha thank you! I really hope you like it – and that you change his opinion!! 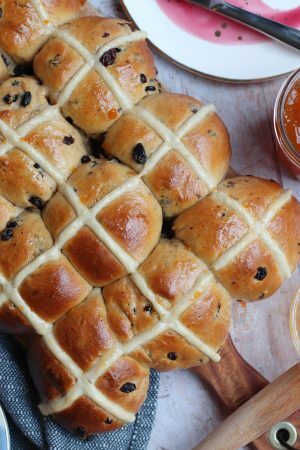 Oh lovely – this looks divine! Honeycomb is such a delight. Looks like I will have to try this recipe. I bet!! 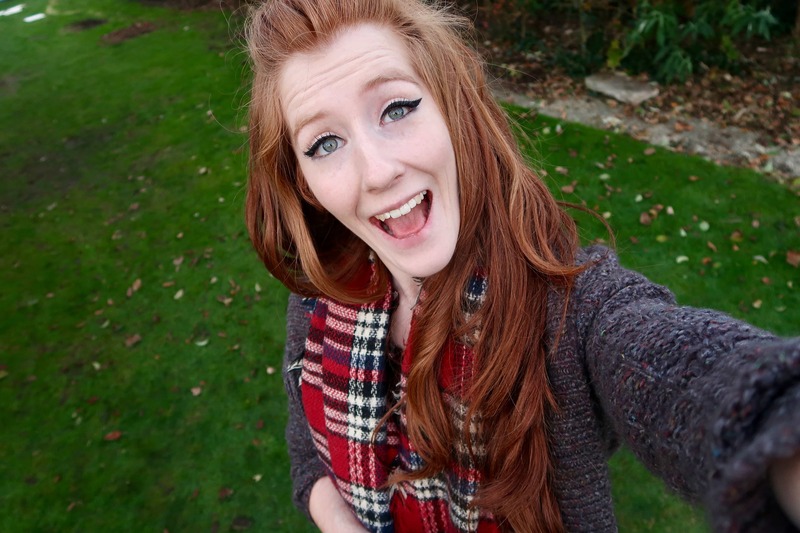 Going to make it at Christmas when my sisters are home, they will love it ? Hahah yay! I’m so glad! And I agree – I nearly always do a mixture of mascarpone & Philadelphia because it makes it less tangy, but there was only mascarpone in my shop… Shame! ? let me know how you get on!